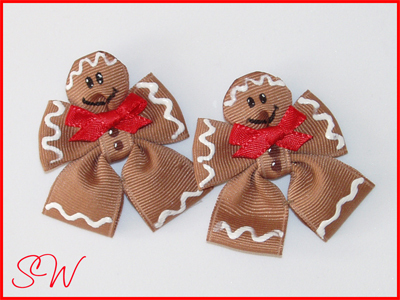 Sno-wyte-bows, also known as Nicole Pauling, also doing business as SnoWyte, terminated an auction on eBay that was selling hair bows shaped and designed like gingerbread characters. 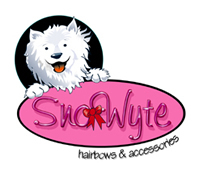 SnoWyte Hairbows & Accessories is located at 27125 Calendula Street, Corona, California 92883, 951-479-1103. The web site is www.snowyte.com. The auction seller emailed her asking, "In detail, what exactly have I done that infringed on what exact rights you hold? Give me info, and I'll be sure to avoid doing it." Your listing: Boutique Gingerbread Men bows infringe on my original character design which is protected by copyright as a visual arts work under U.S. copyright laws. While I understand that duplication occurs, I work extremely hard to come up with new creations and am now forced to protect my designs due to the numerous offenses that have occuredn (sic). I apologize for the inconvenience and hope you can understand and respect my position on this. A 'useful article" is an object having an intrinsic utilitarian function that is not merely to portray the appearance of the article or to convey information. Examples are clothing, furniture, machinery, dinnerware, and lighting fixtures. An article that is normally part of a useful article may itself be a useful article, for example, an ornamental wheel cover on a vehicle. Copyright does not protect the mechanical or utilitarian aspects of such works of craftsmanship. We don't believe her claims that she owns the copyright on a hair bow since a hair bow has existed for eons. Likewise, she cannot claim using a gingerbread design on a hair bow as being her exclusive creation because she cannot show she is the person who originated the idea (aside from her unsupported claims to her "creativity"). The act of merely placing a design on an object does not automatically get copyright protection. The item must be "copyrightable". Hers is not. She does not own a copyright of her bow as a "soft sculpture" and there is no such thing under copyright law about "original character design". A hair bow cannot be copyrighted and this dimwit "artist" would have known that fact if she had taken the time to research the subject instead of assuming she knew it all. To make matters worse, Snowyte is an infringer herself! As of December 4, 2005, she had eBay auctions that were plainly copyright and trademark infringements of the Dr Seuss characters as well as other characters! I had so much fun making this bow!! You are bidding on a single bow entirely handpainted by me. 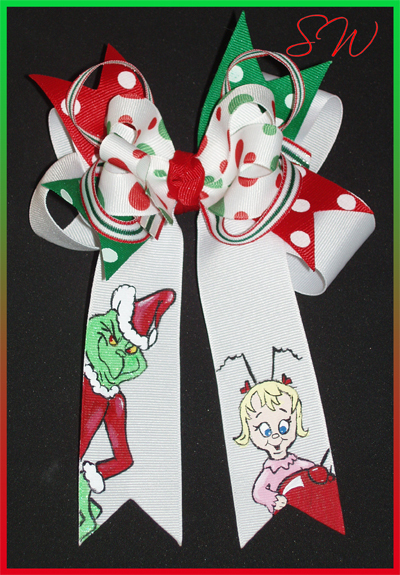 Measuring approximately 5" wide, I started with quality white grosgrain ribbon, painting Mr Grinch on one side and Cindy Lou on the other. Topping it off are fun polkas and a few stripes with some glimmer in the ribbon. It is securely attached to a french clip barrette and ready to wear with all of her Grinchy Christmas sets.. so fun!!! Please carefully note the statement in bold type above. While we applaud her artistic ability, drawing the Grinch onto ribbon and then selling the item is an infringement of the exclusive rights of the copyright holder, in this case, Dr Seuss. Using the image of the Grinch to draw attention to her listing is an infringement of copyright and trademark law. Wanna bet Dr Seuss has registered the image of the Grinch? She used this image to draw attention to her listing! We wonder from where she stole this image to use? And, she doesn't stop there. Her auction listing #6822249922, titled 7AVE Boutique Rudolph Christmas Hairbows Hair bow, plainly compares her hair bow to Rudolph The Red-Nosed Reindeer, another copyrighted character! We bet there are more but we haven't taken the time to locate them. Even her eBay user ID is a possible infringement of the Disney character, Snow White. In our opinion, she is abusing the eBay VeRO program to stifle competition. She does not have any intellectual property rights as she claims and she has no respect for the valid intellectual property rights of others. By becoming a member of eBay's VeRO program, SnoWhyte has forfeited protections and privacy. By shutting down auctions to which she has no valid rights, SnoWyte is opening herself up to potential federal court cases which will become a matter of public record as are the takedowns.